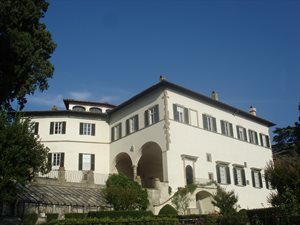 On 19-20 September, a workshop was held at the European University Institute in Florence on the New ECB in Comparative Perspective, organised by Giorgio Monti (European University Institute) and Thomas Beukers (European University Institute and Dutch Ministry of Foreign Affairs). The workshop analysed the current era of central banking from both a legal/institutional and a comparative perspective, with a primary focus on the major western central banks such as the European Central Bank (ECB), the Federal Reserve (FED) and the Bank of England (BoE). The workshop was opened by a keynote speech by Chiara Zilioli (Director General of Legal Services of the ECB) on Fantastic Beasts and How to Tame Them. The New Central Banks and Institutional Balance. Zilioli looked at the way fundamental democratic principles apply to the changing ECB, highlighting also how the ECB is in several respects different from the FED and the BoE. The first session on Central Banks and Governments: Institutional Settings and Independence was chaired by Fabian Amtenbrink. Deborah Mabbett (Birkbeck University of London) and Waltraud Schelkle (LSE) presented their paper Independent or Lonely? Central Banking after the Crisis, arguing that while the ECB is one of the most independent central banks, it is also one of the most lonely. They conclude that the ECB is today less lonely than in 2008 in terms of information availability, but there is still a threat of loneliness. Alexander Thiele (University of Göttingen) presented the economic and judicial justification for the independent status of central banks in general and illustrated the different manifestations of independence using the ECB, BoE and Fed (The Independence of the ECB: Justification, Limitations and Possible Threats). Christy-Ann Petit (EUI) closed the first session with an examination of several central banks’ mandates (ECB, FED, Bank of Canada and BoE), through an analysis of their framework, in combination with the interpretation conveyed by some policy statements and the institutional discourse. Petit also situated the central banks’ organizational structures within their respective constitutional settings (Extension of Central Bank Mandates: Calibrating Central Banking Objectives and Instruments within Unitary and Federal Constitutional Settings). The second session on Central Banks and Financial stability was chaired by René Smits and included two complementary presentations on this topic. Federico Della Negra and Gianni Lo Schiavo (ECB) in their presentation Financial Stability and Central Banking: Legal Evidence from the ECB in Comparative Perspective looked at the financial stability mandate of the ECB, FED and BoE, noting several convergent trends accelerated by the crisis. Agnieszka Smolenska and Thomas Beukers (EUI) discussed the various ways in which the concept of financial stability is used both in academic literature and in EU legal instruments, and looked at the role this concept plays in shaping the ECB’s tasks (Central Banks and Financial Stability in Comparative Perspective). The third session on the Single Supervisory Mechanism, chaired by Giorgio Monti, was started by a discussion by René Smits (University of Amsterdam) of the recent L-Bank judgment of the European Court of Justice (Competences and Alignment in an Emerging Future. After L-Bank: How the Eurosystem and the Single Supervisory Mechanism May Develop). An argument was then presented by Matthias Goldmann (Goethe University Frankfurt) that the Chinese wall erected within the ECB when tested will not hold (United in Diversity? The Relationship between Monetary Policy and Banking Supervision in the Banking Union). Goldmann discussed the relationship between monetary policy and financial stability as well as the question whether a holistic approach is possible despite article 15 of the SSM Regulation. A study was finally presented by Fabian Amtenbrink and Menelaos Markakis (Erasmus University Rotterdam) on accountability in the banking union: Towards a Meaningful Prudential Supervision Dialogue in the Euro Area? In their study of the relationship between the European Parliament and the ECB in the SSM they look among other things at the nature and the quality of the interaction between MEPs and the SSM in the EP’s Banking Union Working Group. The second day was opened by a keynote speech by Ricardo Reis (LSE) on The New Fiscal Roles and Limits of the ECB. Reis set out the various ways in which a central bank is always a fiscal agent. The closing session on Central Banks and New Monetary Policy was chaired by Thomas Beukers, and opened by Napoleon Xanthoulis (King’s College London) with a discussion of the ECB’s Lender of Last Resort: The Evolution of ELA and the Quest for a New Function in the SSM ERA. Xanthoulis looked at the legal framework of ELA provision, its evolution during the crisis, and conceptualized ELA in light of the new supervisory powers of the ECB. Klaus Tuori (University of Helsinki) in his presentation on The Eurosystem Quantitative Easing Programme – A Comparative Economic-Constitutional assessment among other things discussed the effectiveness of QE, and set out the differences between the ECB’s Public Sector Purchases Programme (PSPP) and earlier ECB bond buying programmes. The final contribution was given by Ad van Riet (ECB) on Monetary Policy Stretched to the Limit: How Could Governments Support the European Central Bank, discussing what role for example policy coordination in the Eurogroup on a positive fiscal stance and European safe bonds can play in supporting the ECB. This entry was posted in Event reviews, News on September 28, 2017 by ADEMU.